Microsoft has responded to the news that YouTube is going to withdraw support from the ageing Internet Explorer 6 by expressing concern over the businesses that still use the browser. The news appeared yesterday that YouTube would no longer render properly for IE6, and it was greeted with glee by web developers and designers everywhere. 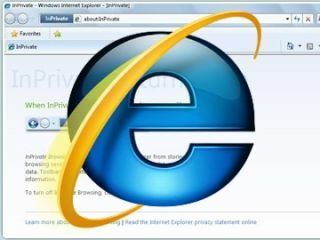 However, Microsoft pointed out to TechRadar that it is already trying to bring its customers onto its latest browser IE8. "Microsoft has consistently recommended that consumers upgrade to the latest version of our browser. Internet Explorer 8 offers improvements in speed, security and reliability as well as new features designed for the way people use the web," said Microsoft in a statement. "While we recommend Internet Explorer 8 to all customers, we understand we have a number of corporate customers for whom broad deployment of new technologies across their desktops requires more planning." The statement is exactly as expected from Microsoft, who feels that it must support legacy users, including businesses who may have bespoke applications built specifically for the browser. However, with Google now switching off support for one of its most high-profile sites, those very same businesses will surely be looking to catch up with the rest of the internet and make the switch away from the much-maligned IE6.